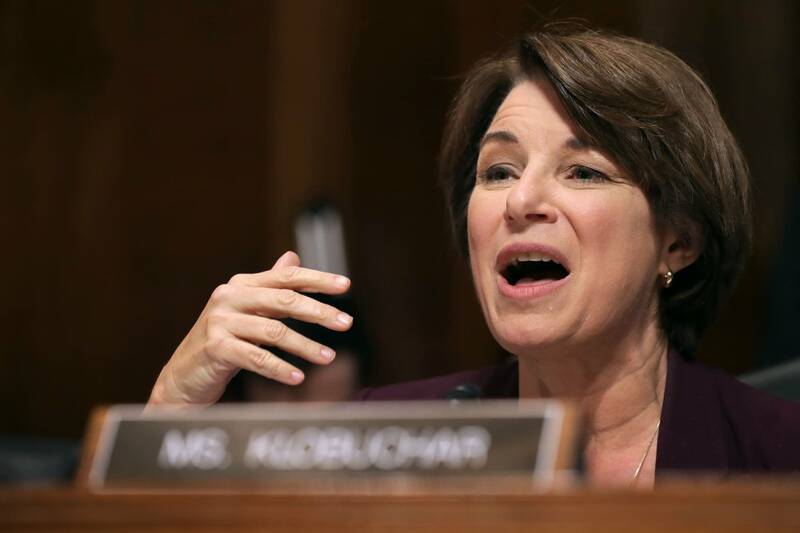 U.S. Sen. Amy Klobuchar said Tuesday night that she has an announcement scheduled in Minneapolis Sunday. It's widely expected that she will join the crowded field of 2020 Democratic presidential candidates. Klobuchar, 58, started her third term in the U.S. Senate this year after winning more than 60 percent of the vote last November. She grew up in the western Twin Cities suburbs. Prior to going to Washington in 2006, she served as Hennepin County attorney. • Your thoughts: What questions do you have about Sen. Klobuchar and the 2020 election? Klobuchar is not as well-known as other Democratic 2020 candidates and potential candidates. But her national profile got a major boost last fall during confirmation hearings for Supreme Court Justice Brett Kavanaugh when she patiently questioned combative Kavanaugh about his alcohol use. The exchange was even parodied on Saturday Night Live. Last month, Klobuchar used the Democratic response to President Trump's weekly radio address to criticize the president for fomenting chaos with the government shutdown. She may also have provided a glimpse of the tone of her presidential campaign. "We should be working together to pass major legislation to bring down prescription drug prices and health care costs for Americans, to make it easier to afford college and child care, to create incentives for clean green energy, to pass immigration reform, to train workers for the jobs we have today and could have tomorrow," she said. Klobuchar does not bring a record of major progressive legislative victories to the nomination contest, nor does she offer a charismatic and fiery left-wing counter to Trump's bombastic style. She prides herself on working across the aisle even though she almost always votes with her party. Democratic primary voters might view Klobuchar as too moderate, said Steven Smith, a political scientist at Washington University in St. Louis, adding that they might also give her a second look when they learn how she's repeatedly been able to win in Minnesota with broad support beyond her Democratic base. "Democrats really want to beat President Trump in 2020 and they may be looking for someone like Klobuchar who they think will be a more effective candidate not so much in the primaries but in the general election," he said. DFL organizer Jeff Blodgett, who ran the late former Sen. Paul Wellstone's campaigns as well as former President Barack Obama's Minnesota operation, said Klobuchar's measured approach could be a big selling point. "The style and the approach and the temperament and the character of the candidate — I think that may be more of a factor than exactly where you are on every single issue." Republican strategist Alex Conant, who worked on the presidential campaigns of former Minnesota Gov. Tim Pawlenty and Florida Sen. Marco Rubio, said Klobuchar could defeat Trump in a head-to-head matchup, but he doesn't think she can win the Democratic nomination. "Midwest politicians really struggle when they run for president for a couple of reasons. One is they really struggle with fundraising. They don't have the sort of donor base that a candidate from Florida like Marco Rubio did or the other senators running from New York and California," Conant said. "And second, I think in Klobuchar's case, it's not clear to me what her message is going to be."